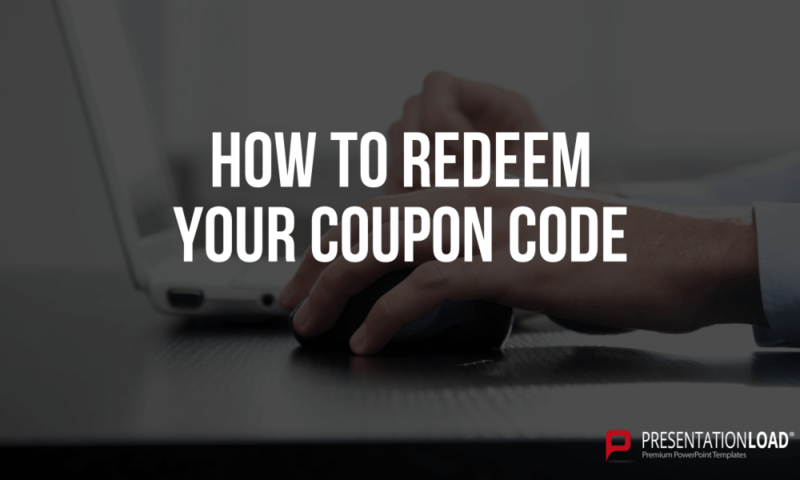 Would you like to download PowerPoint slides from PresentationLoad’s online shop and redeem a voucher code as an extra bonus? No problem! Voucher codes that you receive as a new customer or through special promotions can be easily activated before you complete your order. 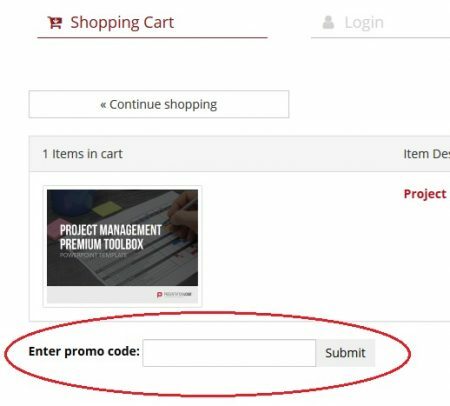 Our tutorial shows you the step-by-step process to access a product in your shopping cart and enter your code before completing your purchase. 1) Have you found the right PowerPoint templates and placed them in your shopping cart? Great! Now click on the Shopping Cart button. 2) A new window will open with an overview of the products in your shopping cart. Directly below this list you’ll find the input field Enter promo code. 3) Enter your voucher code and click Submit. The discount will then be deducted from the total amount of your products. In the last step of the order process, you can verify the quantity of your products and see whether the voucher has been activated and correctly calculated. Are you looking for voucher codes and exclusive discounts to save on your PowerPoint template purchases? You can regularly find a variety of voucher codes and special offers in our free newsletter. It’s worth registering. I would like do receive my save`s coupon to finish my purchase. Do you send by e-mail? After this you will receive the coupon code by e-mail.